The contact wheel FAPI-VUS/RE is an alternative to the FAPI-VUS/RE. It has a coating of alternately arranged lamellae of foamed up Vulkollan® and covered Moltopren foam lamellae. The overall height of the coating must also be selected based on the respective application. 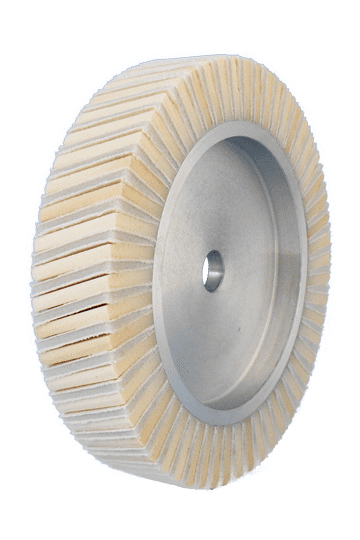 The alternating Vulkollan® and Moltopren foam lamellae make the contact wheel especially soft and adaptable. In practice, this contact wheel is used mainly for the finishing of lightly cambered or rounded workpieces. Because of the different densities of the material heat dissipate very well during grinding process. 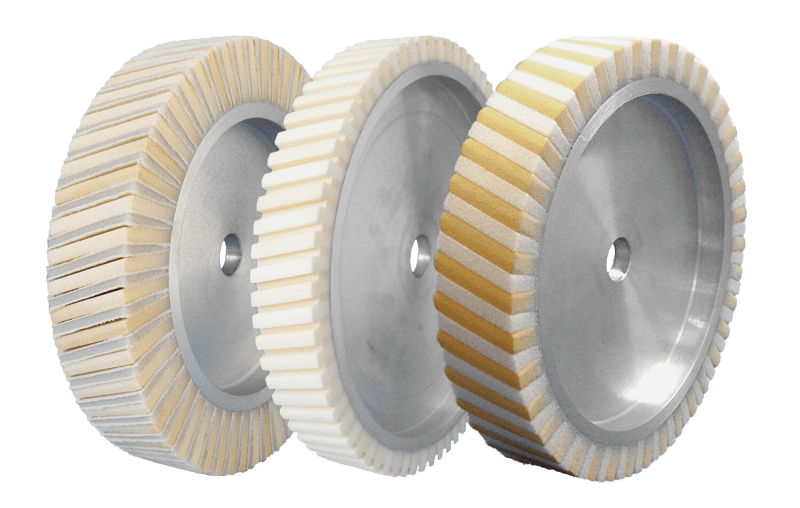 Contact wheels FAPI-VUS/RE are used in particular to achieve a high-quality finish on heavily profiled or heavily rounded workpieces in a very short time. The right lamellae hardness always depends on the individual application.